Bill Ackman’s convoluted North American rail merger is a tough sell. Canadian Pacific revised its offer for U.S. railway operator Norfolk Southern on Tuesday to include an interim trust structure and some finger-in-the-air calculations about possible future valuations. The billionaire hedge fund manager, who is CP’s biggest shareholder and a director, contributed 23 pages of slides and joined a conference call with analysts. The $20 billion CP, which operates railways along the U.S.-Canada border, offered shareholders in East Coast-focused Norfolk Southern – worth $27 billion at Monday’s closing share price – less cash but sooner in its new proposal, as well as a heftier 47 percent share in the combined company. Closing earlier would involve a voting trust designed to allow combined ownership but separate operation of the two railroads while the U.S. regulator, the Surface Transportation Board, considers the full merger. Norfolk Southern rebuffed CP once again even before Ackman had finished his presentation. It’s curious that the target won’t even negotiate, since the record of CP Chief Executive Hunter Harrison in creating operating efficiencies at three different railroad companies is strong – and under the proposal that’s on the table, he would move over to run Norfolk Southern as soon as the interim trust merger was set, potentially by mid-2016. Making the argument that combined ownership and Harrison’s planned job switch would still leave the two railroads notionally independent certainly requires mental acrobatics. But CP does have a case that Norfolk Southern has room to improve efficiency. Harrison reckons he could save $1.3 billion annually – a decent value uplift in itself. 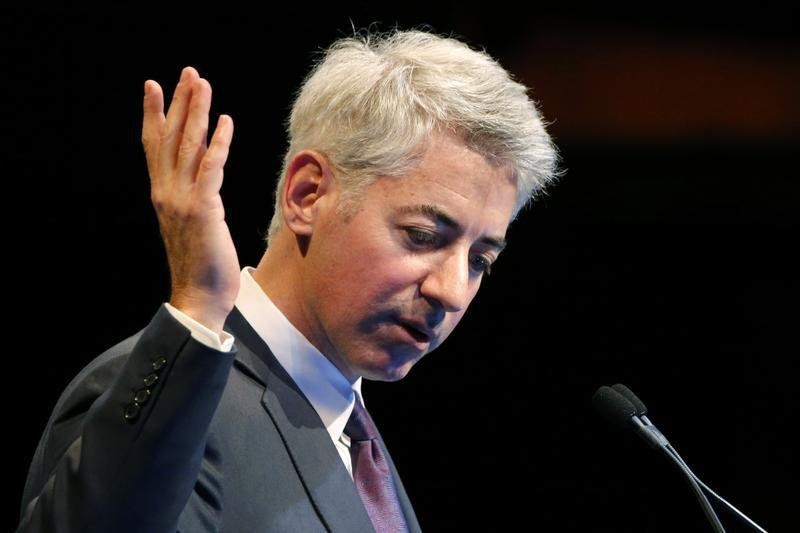 Ackman’s broader argument posits a greatly enhanced market valuation a couple of years hence. Yet CP’s contortions to craft a deal suggest that approval by U.S. rail regulators won’t come easy. Shareholders may also discount the prognostications made by Harrison and Ackman. Both companies’ shares were down on news of the revised offer and rejection. Maybe investors are just confused, too. Canadian Pacific Railway on Dec. 8 revised its bid to buy U.S. railroad operator Norfolk Southern, less than a week after its prior $28 billion proposal was rejected. Norfolk Southern promptly rejected the new offer as well. Calgary-based CP said it was now offering Norfolk Southern shareholders $32.86 in cash and 0.451 of a share in a new holding company that would own both Norfolk Southern and CP. It had earlier offered $46.72 per share in cash and 0.348 shares. To alleviate regulatory concerns, CP said it was prepared to close the transaction using a voting trust. Among other things, the arrangement would involve CP Chief Executive Hunter Harrison severing all ties with the company to run Norfolk Southern while the deal is reviewed by the U.S. Surface Transportation Board. The proposal was flatly rejected by Norfolk Southern, however, which said it had reviewed a voting-trust structure and it did not see this winning approval from regulators who typically take close to two years to review any rail mergers in the United States. “Canadian Pacific’s revised, reduced proposal is not only less than what the Norfolk Southern board has already found to be grossly inadequate, it is even more uncertain and risky given the decrease in the cash consideration,” Norfolk Southern Chief Executive James Squires said in a statement. CP and Norfolk Southern shares fell 3.2 percent and 4 percent, respectively, by mid-morning in New York.